Kunihiro Suzuki, Japan. 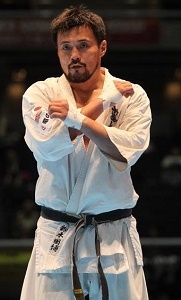 World Champion and one of Japans most accomplished fighter. Standing as a monument for true Budo spirit and warrior spirit. Having fought for a generation and inspired the entire world for its immovable performance. This entry was posted in Profiles, Videos by Steffen. Bookmark the permalink.